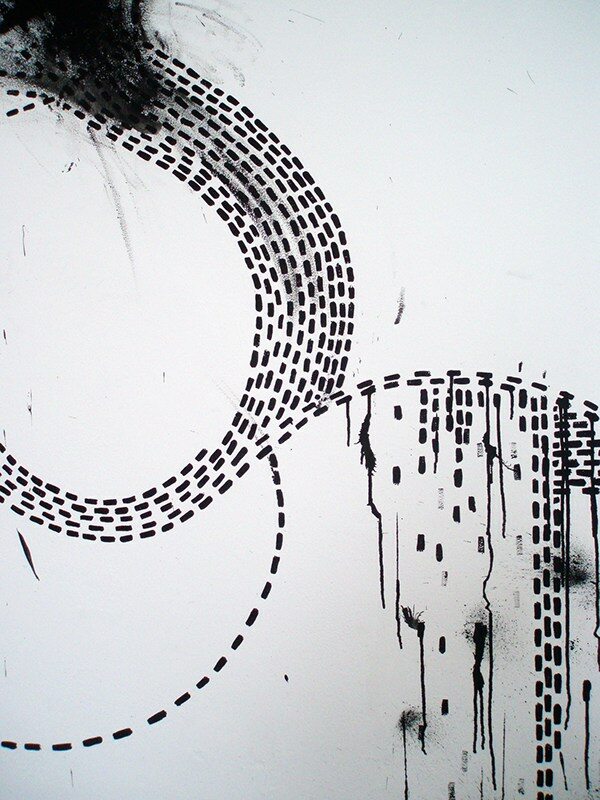 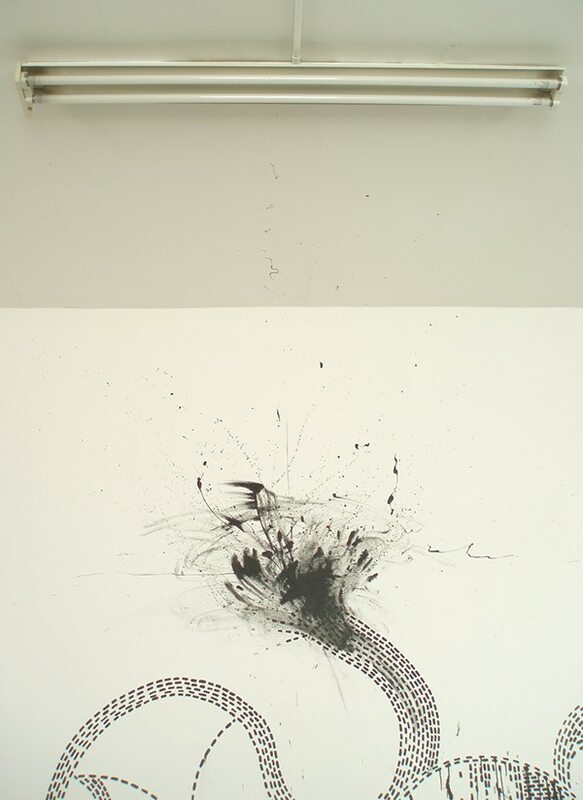 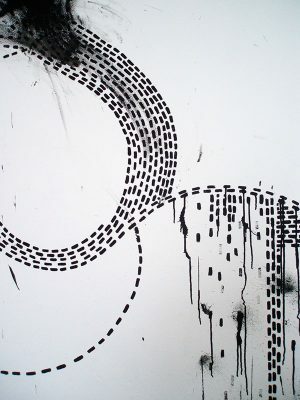 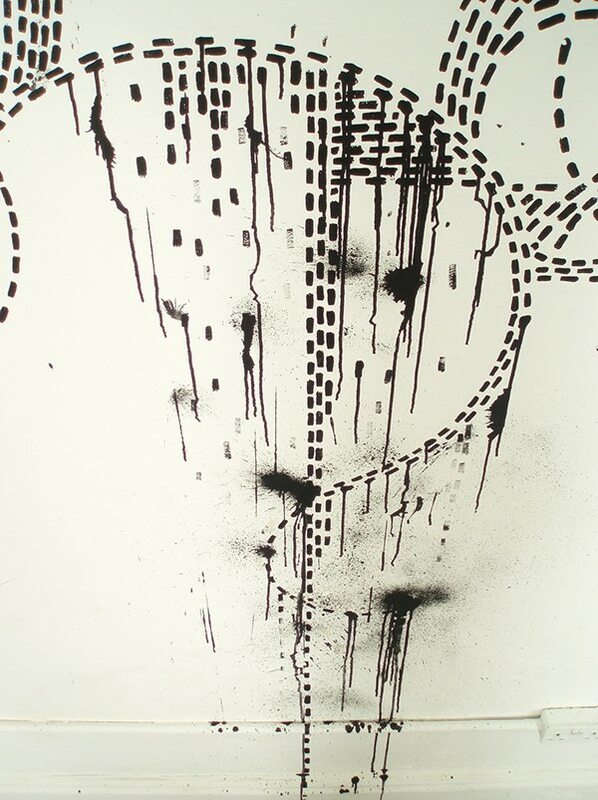 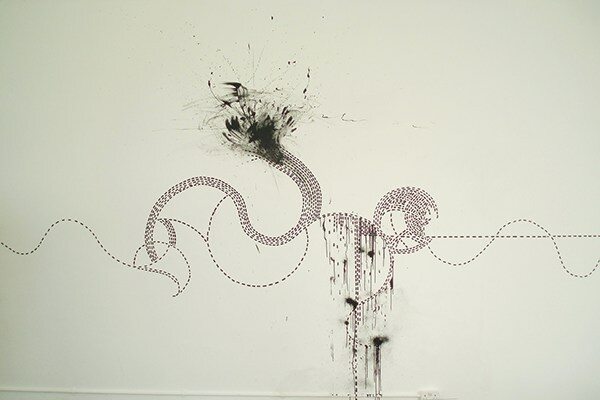 This is the wall drawing that was used as a backdrop for the Portland Row installation. 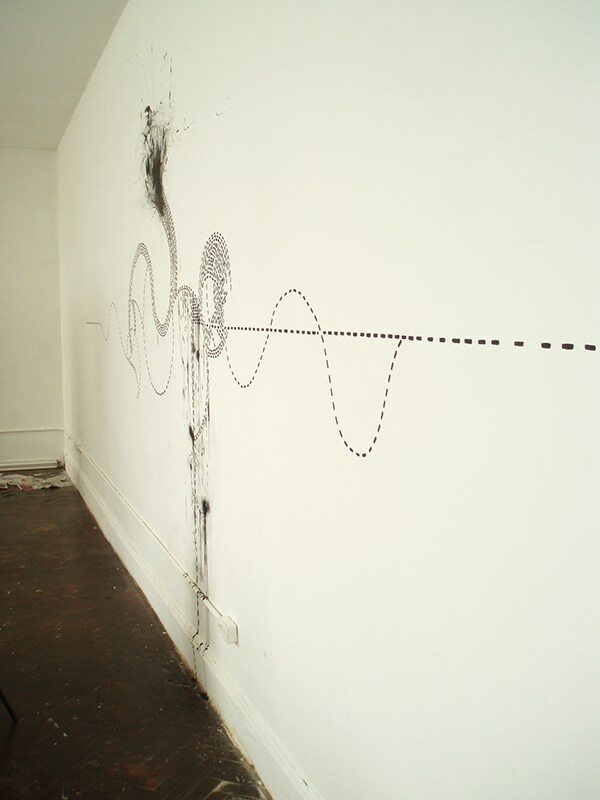 Since the work is a diary of social interactions within a day of anxiety and panic the broken lines are marking time, movement and emotion. A graph that underpins the highs and lows of mood. 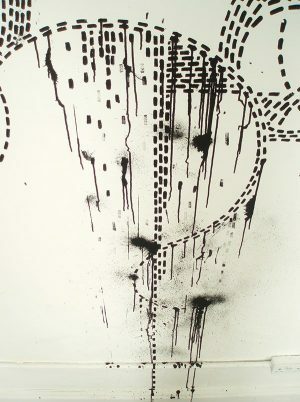 To view the finished piece visit portland row .